Do you use SMIM? 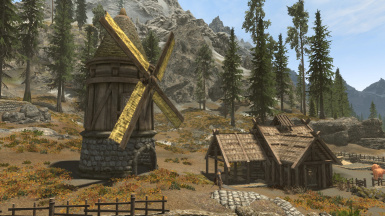 Do you love the fancy sail-bearing windmill fans but hate how presidentially small they (and the vanilla fans) are? 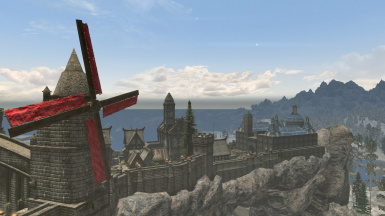 Then this mod is for you! 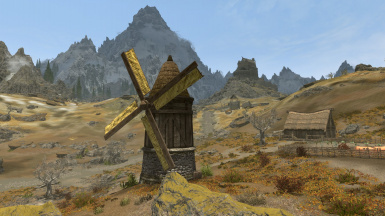 Much like SkyMills or Windmills Resized for Oldrim, I've resized the windmill fans and lengthened the axle so the blades don't clip into the side of the mill, but I used Brumbek's meshes from his Static Mesh Improvement Mod instead of the vanilla meshes. 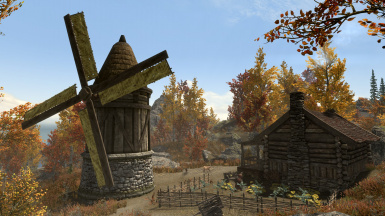 Both the regular farmhouse windmill fans and the big Solitude fan have been increased to 1.5x their original size. Requires SMIM because I'm not including the textures and you should already be using it anyway. 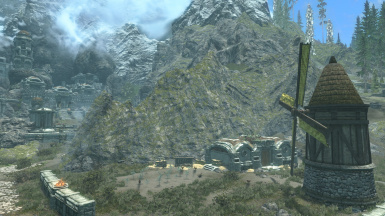 I also suggest using Katla's Farm Sail Reangled to fix the the fan clipping into the adjacent farmhouse there. 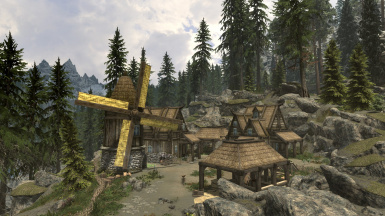 Manual Installation: Simply extract the contents of the archive to your Skyrim SE\Data folder. 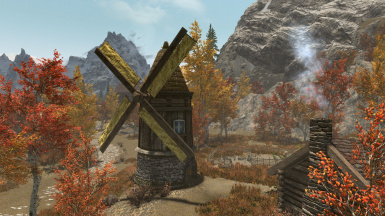 UPDATE 8/21/2017: While fiddling around to try and make the Solitude fan a little bigger, I discovered that it doesn't even use swindmillrotor.nif, which was the file I originally modified. Instead, the fan is baked into the .nif for the windmill/bridge itself. 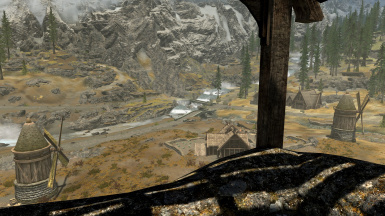 I've resized this fan and updated the main file with it as version 1.1, and updated the Solitude screenshot as well.